Breast cancer is the most common malignancy in women. Successful treatment of breast cancer relies on a better understanding of the molecular mechanisms involved in breast cancer initiation and progression. Recent studies have suggested a crucial role of perturbations in ferritin levels and tightly associated with this, the deregulation of intracellular iron homeostasis; however, the underlying molecular mechanisms for the cancer-linked ferritin alterations remain largely unknown and often with conflicting conclusions. 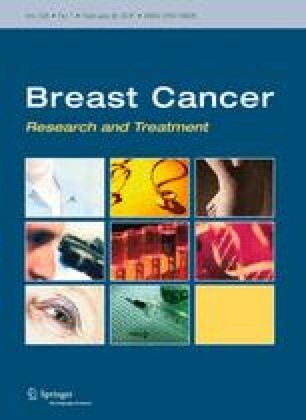 Therefore, this study was undertaken to define the role of ferritin in breast cancer. We determined that human breast cancer cells with an epithelial phenotype, such as MCF-7, MDA-MB-361, T-47D, HCC70 and cells, expressed low levels of ferritin light chain, ferritin heavy chain, transferrin, transferring receptor, and iron-regulatory proteins 1 and 2. In contrast, expression of these proteins was substantially elevated in breast cancer cells with an aggressive mesenchymal phenotype, such as Hs-578T, BT-549, and especially MDA-MB-231 cells. The up-regulation of ferritin light chain and ferritin heavy chain in MDA-MB-231 cells was accompanied by alterations in the subcellular distribution of these proteins as characterized by an increased level of nuclear ferritin and a lower level of the cellular labile iron pool as compared to MCF-7 cells. We established that ferritin heavy chain is a target of miRNA miR-200b, suggesting that its up-regulation in MDA-MB-231 cells may be triggered by the low expression of miR-200b. Ectopic up-regulation of miR-200b by transfection of MDA-MB-231 cells with miR-200b substantially decreased the level of ferritin heavy chain. More importantly, miR-200b-induced down-regulation of ferritin was associated with an increased sensitivity of the MDA-MB-231 cells to the chemotherapeutic agent doxorubicin. These results suggest that perturbations in ferritin levels are associated with the progression of breast cancer toward a more advanced malignant phenotype. The views expressed in this paper do not necessarily represent those of the U.S. Food and Drug Administration.